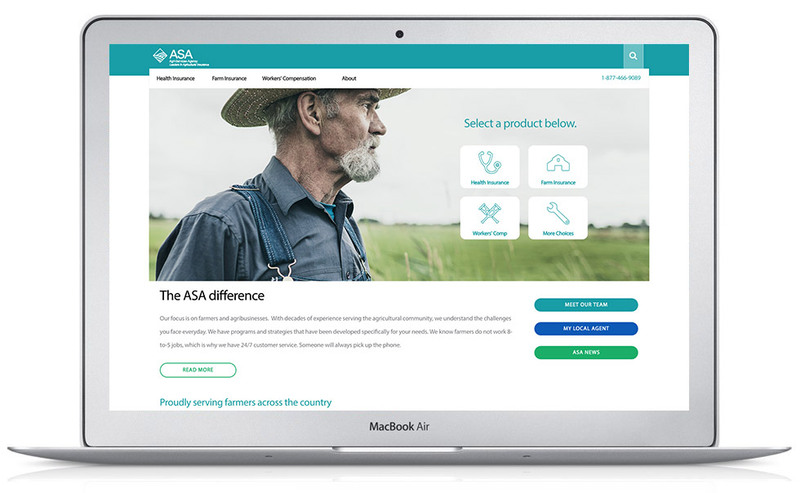 Full creative production and website design for agricultural insurance provider, ASA. Heavy emphasis on user experience for ease of navigation throughout website. Design features large hero images, muted color palette, fully responsive design, sticky secondary menu functionality and focus on the overall grid structure. Heavy emphasis on user experience design. Designed for Blue Rivet LLC for Agri-Services Agency. Jessica was very easy and affordable to work with. She easily captured the vision I was looking for without a lot of back and forth confusion. I recommend working with her on any project and will use her services again in the future.